Today’s ERP systems are more flexible, agile and powerful than ever before. Implementing the right solution can deliver an enormous boost to your organization. But, making the right decision is critical. Purchasing a new ERP system can be one of the biggest expenses and challenges you face. You need to get it right first time! That’s why MIS has written this informative white paper based on more than 30 years’ experience delivering ERP solutions. The title says it all – arm yourself with these top, must-ask questions before taking on a new ERP project. 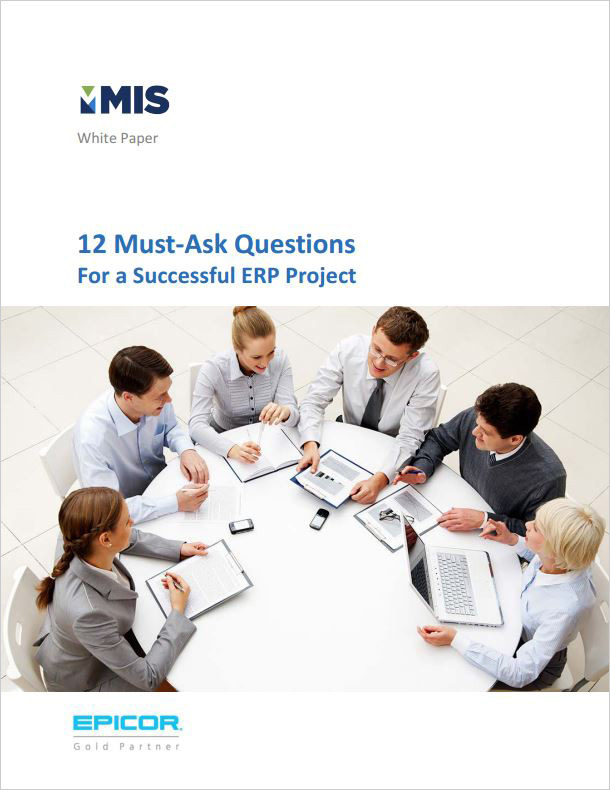 Download today and make your next ERP project an unqualified success.